Happy International Kissing Day! In pawnor of the occasion, Skout recently conducted a survey of 5,000 people in the U.S. to get the lowdown on smooches. We especially ruv the questions they snuck in about dogs. First off, nearly one in five people said they’d rather kiss their pet than their significant other. But SOs shouldn’t feel betrayed. Almost half of respondents said they’d rather kiss their pet than family or friends. Sorry Aunt Beatrice, we only like one kind of sloppy kisses — and they aren’t the ones you dish out at family reunions. If you like to pucker up for your pet, then you aren’t alone. 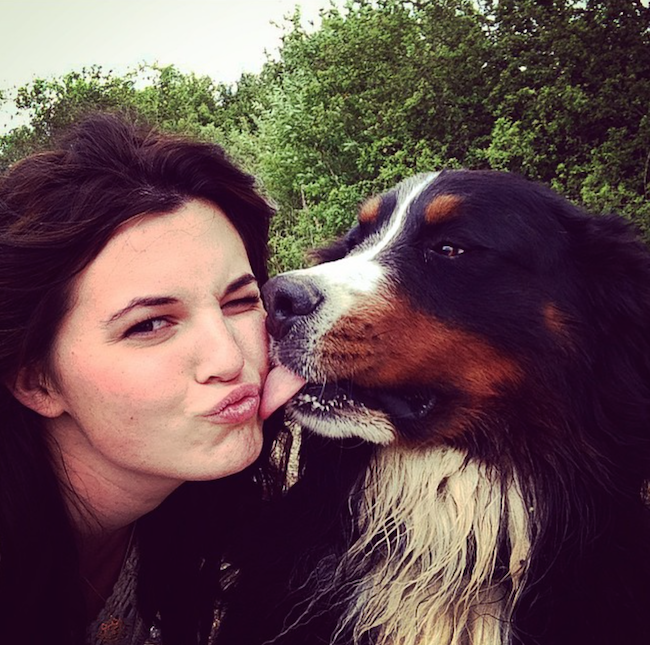 Seventy-five percent of people admitted they kiss their pets. Of course, that includes cats, birds and reptiles… Yuck! But our fellow dog-lovers, don’t despair. Because survey says… (with a whopping 70 percent agreeing) dogs are the most kissable pets! And we’d have to agree.